Do You Love Coaching Youth Baseball As Much As We Do? And are you looking for some awesome baseball drills? If so then you have landed at the right spot. Are you a brand new coach looking for some practice tips? Maybe you are a veteran coach looking for some new practice ideas. If so, you have landed at the right spot. Or maybe you are a player or parent of a player looking for some individual training. If so, you have landed at the right spot. 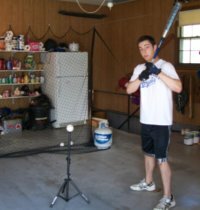 And whether your child is a first time T Baller, or he is graduating from high school and headed to college ball, we have got the right drills for you or your team. 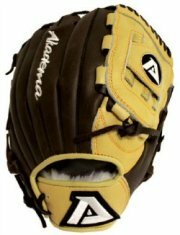 We loved all the years we were involved with youth baseball and want to offer all that we know to help you have the same rewarding experience as we had. So sit back and take a look around. We have tried real hard to make sure there is something about baseball on this website for everyone. And new features are being added all the time. This website is our labor of love. There is so much to write and talk about regarding little league baseball that I don't think we will ever stop writing. Here is one of my favorite refrigerator magnets, and it kinda tells the life my wife and I live: Yes, we have that magnet on our refrigerator. 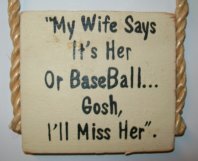 Luckily, my wife loves baseball just as much as I do, so it is just a running joke. We have three boys, all who played baseball, and two who have played traveling ball. And yes, she has loved every minute of it, just like most baseball moms. Many years I coached, and many years I was a parent. So I have seen baseball from both sides of the fence. Looking For Some Practice Routines? And during the past twenty years I have learned and tried many different practice ideas. On this website you will find the ones that work. So take a look around and check out our site. We have tried to make everything as simple as possible, but at the same time very useful. We also picked up a lot of other hardball and traveling tips along the way. And we will pass those along to you. 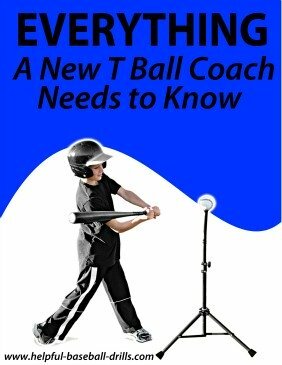 And I want to repeat that whether you are just beginning to play ball, or you are at a high level of play, you will find baseball drills here that will help you. Looking For Drills By Ages? We've got practices for different ages. Players need different drills as they grow older and become more mature. We have addressed that with different drills for each age group. Around the ages of ten or eleven you need to start thinking about adding in some training drills. The players themselves are not going to start this, so let's start them off with the right techniques.